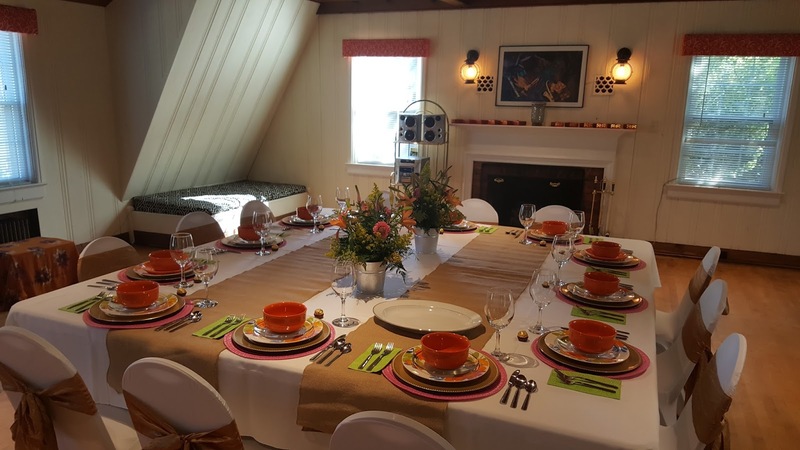 At Morehead Manor Bed and Breakfast in Durham, North Carolina, guests can rent our lovely Carriage House for their own special events. Clients can bring their own caterer or hire one of Morehead Manor’s preferred caterers. For this private ladies gathering (pictured above) Morehead Manor provided the tables, chairs, and linens while the guests brought the rest. Morehead Manor has hosts intimate weddings, wedding receptions, corporate gatherings, and special events like baby showers, bridge luncheons, and book gatherings. We can accommodate between 5 and 25 attendees for a business conference. Ask about our Corporate Murder Mysteries that is a scavenger hunt and a team-building exercise. All our Special Events, Wedding, and Meeting Packages can be customized to fit the needs of our guests. To help plan your special event, we recommend that you contact Morehead Manor directly at 919-687-4366. Morehead Manor can set up arrangements for small groups to stay overnight for weekend retreats. Our Durham, North Carolina location is convenient to Research Triangle Park, Raleigh, and Chapel Hill. 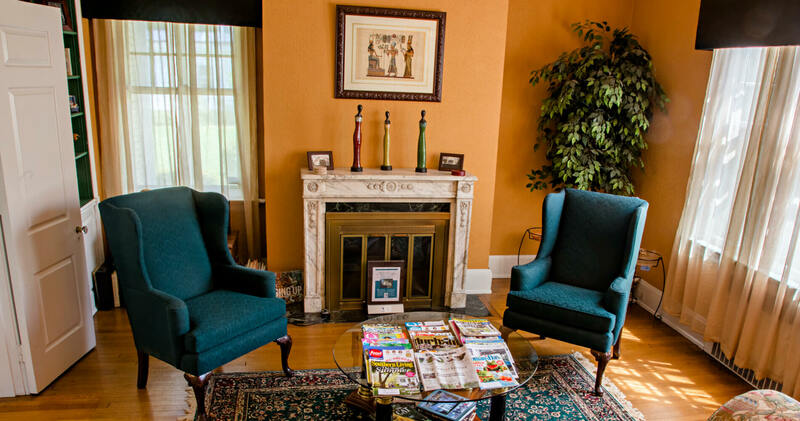 Our accommodations are moments away from Downtown Durham, Duke University, the American Tobacco Campus, and the award-winning Durham Performing Arts Theatre. Durham is home to several fascinating museums, famous historical sites, fine arts and entertainment centers, professional and college sports games, unique shops, amazing malls, great galleries, large wineries, quiet nature trails, popular music concerts, scenic parks, and we were voted “The Tastiest Town in the South.” Choose Morehead Manor Bed and Breakfast for your next event or overnight stay. This entry was posted in Uncategorized and tagged anniversary, arrangements, Carriage House, caterers, corporate gatherings, Durham, guests, Morehead Manor Bed and Breakfast, murder mysteries, parties, receptions, retreats, reunions, special events, weddings by admin. Bookmark the permalink.